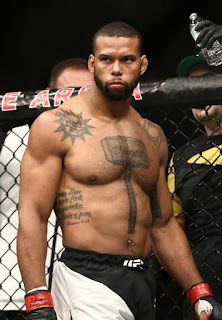 Another fight, another devastating knockout win for Thiago Santos, the scary KO artist from Brazil who finished Anthony Smith on the main card of UFC Fight Night 125. Santos is now riding a four-fight win streak, with all of those wins coming by way of knockout. He’s 9-4 in the UFC overall, and eight of those wins have come via knockout. “Marreta” continues to get better and better every time he fights, and after this latest knockout win, he called out the matchmakers to give him a top-five opponent for his next fight. While he may not get a top-5 opponent next, there’s no question Santos needs to fight a ranked opponent in his next fight, preferably a top-10 fighter. Currently ranked #15 in the UFC’s official rankings, Santos shouldn’t be fighting unranked opponents at this point, even if they are at the caliber of a fighter like Smith. It’s onwards and upwards for Santos, and the only way he can continue his march to a title shot is by beating a big name who has a high ranking. Looking at the possible opponents for Santos in the UFC’s Top 10, we can eliminate a few to start. Santos is not fighting the champ Robert Whittaker, who is injured, and he’s not fighting Luke Rockhold or Yoel Romero, who fight for the interim belt at UFC 221. Michael Bisping won’t fight someone as dangerous as Santos for his retirement fight, and it’s unlikely Chris Weidman would risk his high ranking to accept a fight against Santos. Ronaldo “Jacare” Souza just fought, but in my mind he seems like a logical opponent for Weidman next, so he’s not in the mix for Santos at this time. 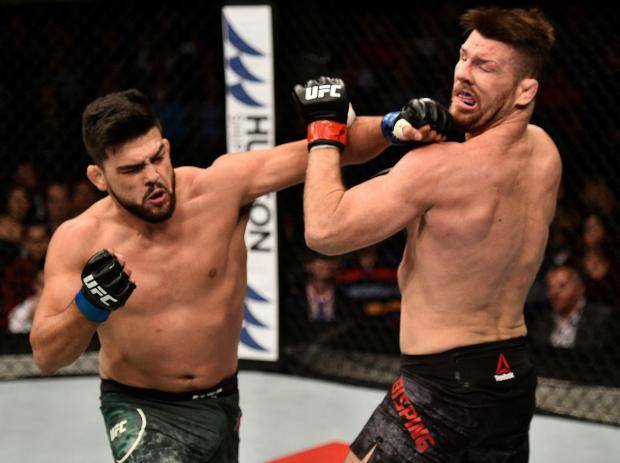 The next-highest ranked fighter available is Kelvin Gastelum, and he makes a lot of sense as Santos' next opponent coming off of a brutal knockout win over Michael Bisping. Both guys are primarily striking-based fighters, and both guys are coming off of huge knockout wins. Both guys are in the mix for a title shot, but both still need a few more high-profile wins. If I’m the UFC matchmaker, Santos vs. Gastelum is the first fight I try to book, and I’d look to make it a main event for a Fight Night card in Brazil. Gastelum may be looking for someone ranked higher than Santos, but the UFC should at least try and book this fight. If not Gastelum, then the other top-10 options for Santos include Derek Brunson, David Branch, Vitor Belfort and Uriah Hall. Brunson just got knocked out by Jacare, so he should be eliminated from the equation, and after Hall’s recent weight cut failure he’s not in the mix either. Branch got his fight with Romero taken away from him, so he’s in need of an opponent, though he’s coming off a loss. Belfort vs. Santos sounds like a really exciting fight on paper, but it’s likely Belfort would want a bigger name. It’s still a potential fight though. So to recap, the guy I’d be looking to pit against Santos next is Gastelum, but if that fight didn’t work out then I’d look to Branch or Belfort. All three men are ranked in the top 10, and there’s no question Santos has earned the right to fight someone that highly ranked. 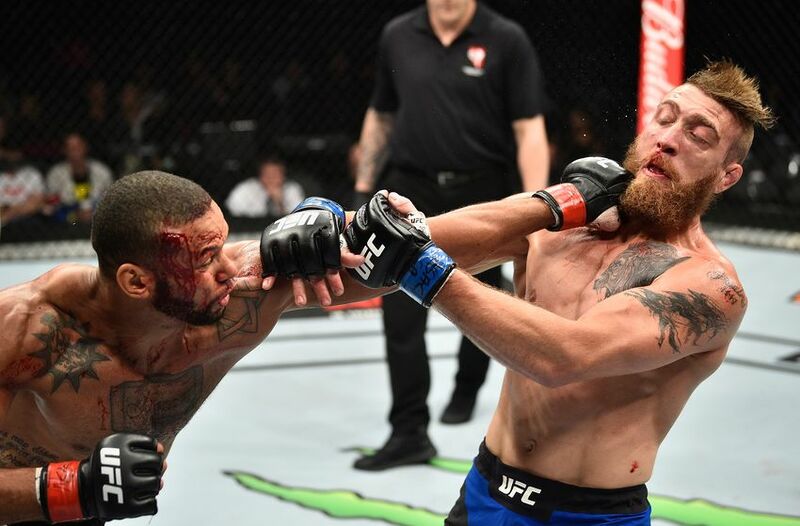 After opening up his UFC career with a submission loss to Cezar Ferreira, Santos has had one heck of a run, and he has quickly turned into one of the most exciting fighters in the sport. It’s been a few years now since his knockout loss to Gegard Mousasi, and all he’s done since then is win. It’s time the UFC rewarded him with a big fight now, and a raise while they’re at it.